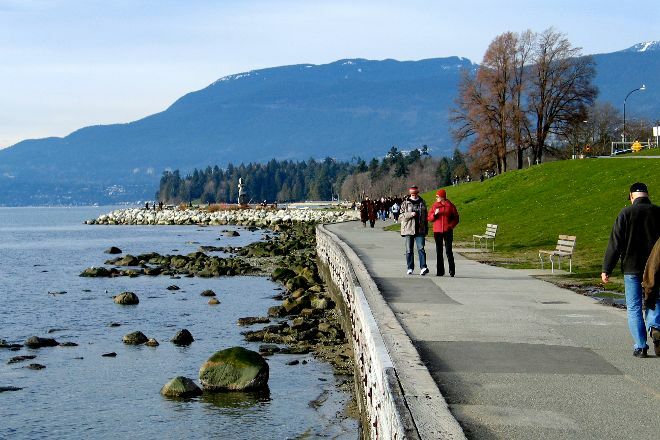 Running along the perimeter of Stanley Park, Vancouver Seawall stretches uninterruptedly along the water for almost 30 km (18 mi). Arguably the most popular feature within the park, the seawall provides city dwellers with an outdoor venue for jogging, cycling, and walking. The pathway features two distinct sections, one for pedestrians and the other for inline skaters and bikers. Follow the posted signs, use the seawall safely, and prepare to share the path with other recreationists, who come in droves on sunny days and weekends. Vancouver Seawall is just one of the many highlights you can arrange to see using our world travel planner, Vancouver Edition. A delightful relaxing stroll or energetic jog. Your call. A must visit if you're just passing. It takes about 2.5 - 3 hours to circumnavigate the park at an easy pace. The smartest thing Vancouver has ever done. Great access to the water with some great views. Bikes on the left - walkers and runners on the right. Cyclists will get militant and shout at you if you’re in their way, so walkers beware! Cool visit here! Very cool design and great place to read books and visit. Highly recommend coming to visit. Excellent spot to enjoy the amazing views of the city. Definitely a must visit for tourists, plus you can get in a couple of hours of walking which I did. Have fun. Peaceful view under bright sunlight and good weather. Feel the real Vancouver city mood. Every day, we help thousands of travelers plan great vacations. Here are some tips on how to use your Listing Page to attract more travelers to your business - Vancouver Seawall. Promote your permanent link - https://www.inspirock.com/canada/vancouver/vancouver-seawall-a2146628055 - on your website, your blog, and social media. When a traveler builds a plan from this page, the itinerary automatically includes Vancouver Seawall. This is a great way for travelers looking for a great vacation in your city or country to also experience Vancouver Seawall. Promoting your link also lets your audience know that you are featured on a rapidly growing travel site. 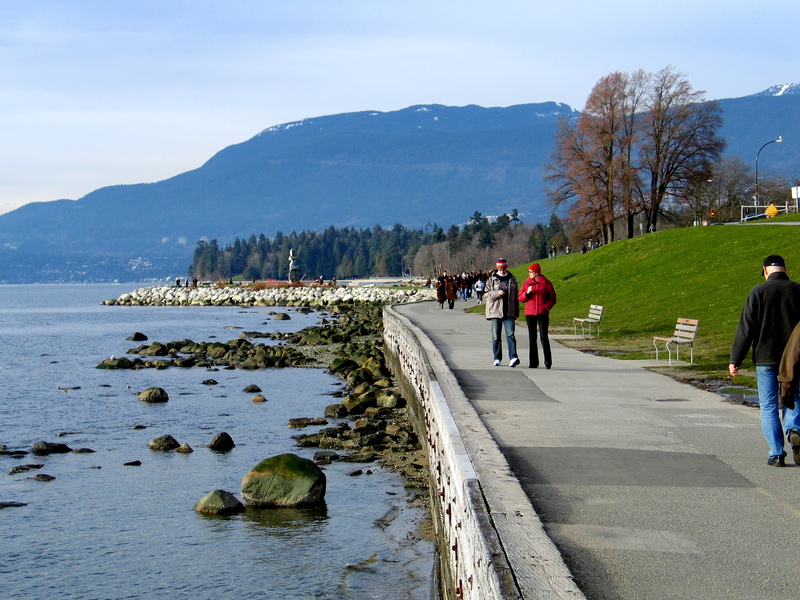 In addition, the more this page is used, the more we will promote Vancouver Seawall to other Inspirock users. For best results, use the customized Trip Planning Widget for Vancouver Seawall on your website. It has all the advantages mentioned above, plus users to your site can conveniently access it directly on your site. Visitors to your site will appreciate you offering them help with planning their vacation. Setting this up takes just a few minutes - Click here for instructions.